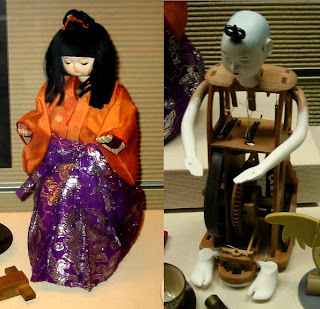 The man featured on video 1 is Tanaka Hisashige who is a gifted Engineer and inventor.He lived in the 18th century and was one of the main karakuri makers.He is also the Ancestor of what is now Toshiba corporation. Besides karakuri dolls he also built Myriad year clock in 1851.And Japans first Steam locomotives and warships. No wonder Japan is superior in electronics they were having fun with these in that time and age. 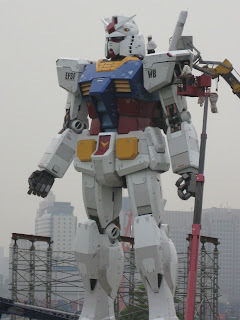 I think In just a Few years Gundams will become a normal sight.